Law enforcement on Friday confiscated a van that reportedly belongs to Cesar Sayoc Jr.
Sayoc, 56, was arrested on Friday in connection with the investigation into a series of attempted bombings against top Democrats and other public figures. The van is covered in politically charged bumper stickers. A van plastered with pro-President Donald Trump imagery that was confiscated by law enforcement in connection with the investigation into a series of attempted bombings via mail has become a subject of great interest. 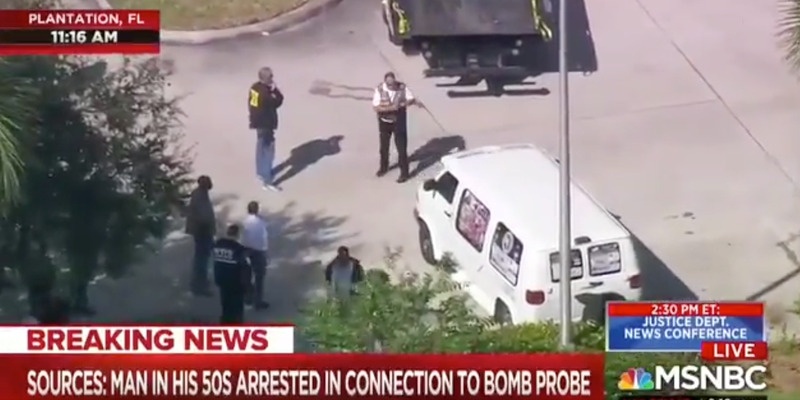 The van reportedly belongs to Cesar Sayoc Jr., 56, of Aventura, Florida. Federal authorities on Friday announced Sayoc was arrested in connection with the slew of mail bombs sent to top Democrats and other public figures. In news footage on Friday afternoon, law enforcement could be seen throwing a blue tarp over the van before towing it. The van is covered in politically charged bumper stickers, many of which express support for Trump and the Republican Party. In an image of the vehicle, a sticker with a target on former Secretary of State Hillary Clinton’s face can be seen. 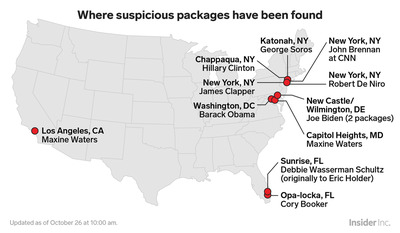 One of the suspicious packages intercepted this week was addressed to Clinton. The FBI has taken the van to its field office in Miramar, Florida, CBS News reported. Sayoc, who registered as a Republican before Florida’s 2016 primary, has a long criminal history. FBI Director Christopher Wray on Friday said he believed law enforcement had apprehended the “right guy,” but also noted that the investigation is ongoing. 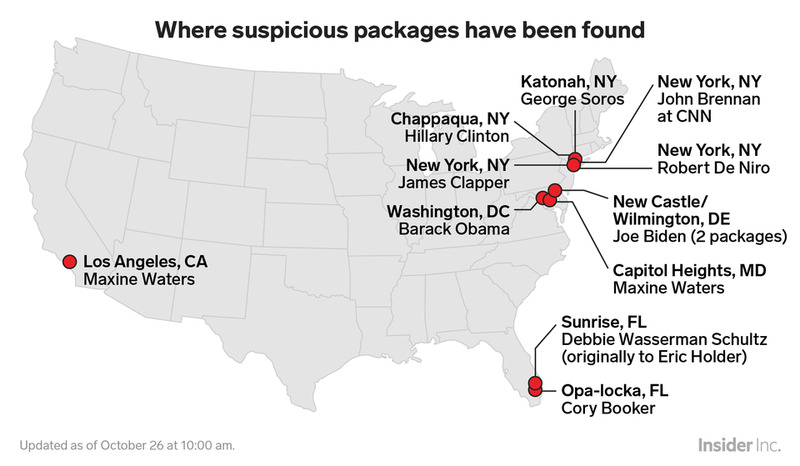 At least 14 suspicious packages have been found or intercepted across the country this week. All of the packages were addressed to people who have been verbally attacked by Trump, and who have been vocally critical of him as well.